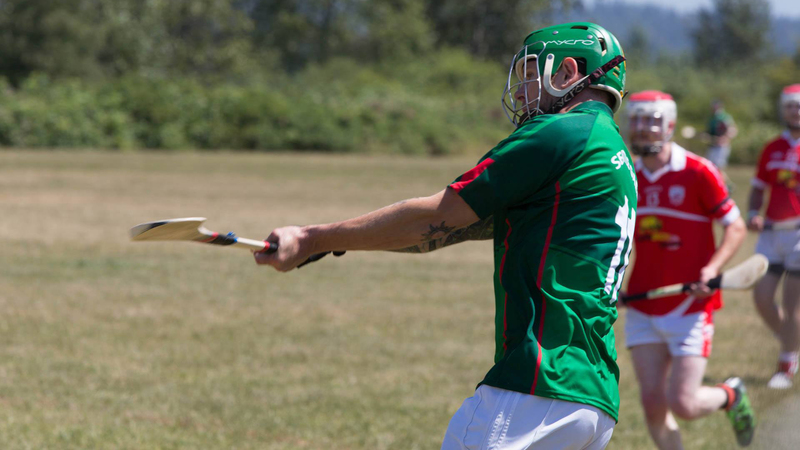 The Seattle Gaels is both a sport and social club. We have an active recreational, co-ed league for hurling and Gaelic football – perfect for those who want to have fun and try something new. We also field teams in all sports that are highly competitive at the regional and national levels. Our hurling and camogie teams captured the North American championships in 2016. In addition, the Gaels have many social activities throughout the year. We have regular pub crawls, picnics & BBQs, runs and much more. Our annual Rock, Paper, Scissors Tournament of Champions each February is a highlight of the year. As a program of the Irish Heritage Club of Seattle, we have many opportunities for great events with our other affiliated organizations: Irish Network Seattle, Ceol Cascadia Irish Music Association, Irish Reels Film Festival, Seattle-Galway Association, Friends of St. Patrick in Seattle and many more. Practices are held outdoors from March through August at Magnuson Park. Our season kickoff is Open Field Day on March 23rd. Please sign up for our email list to get in contact with a manager in case there are last minute changes to the schedule. 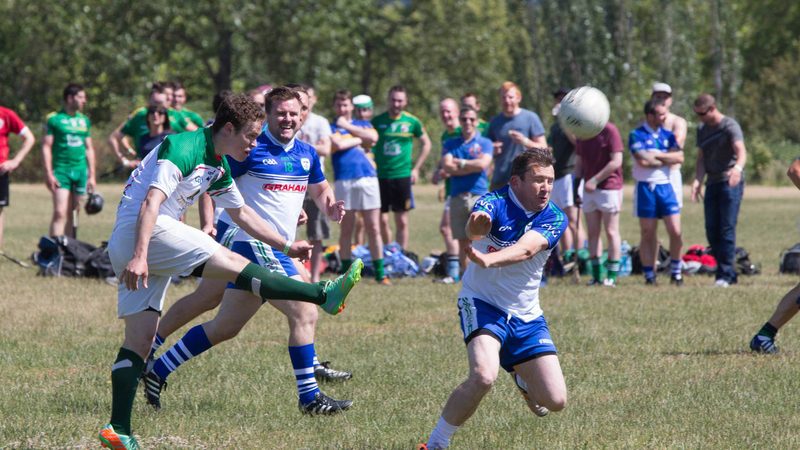 The Seattle Gaels provide a social and sporting resource to promote Gaelic sports in the Pacific Northwest. The Seattle Gaels is an active member of the North American County Board (NACB) of the Gaelic Athletic Association (GAA). 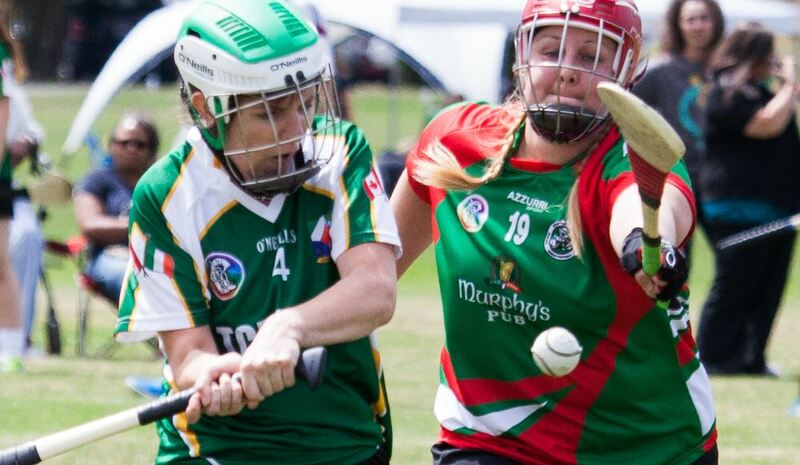 The sports of hurling, camogie and Gaelic Football are not only fast-paced, physical and high-scoring, but they are also among the oldest field sports in the world. The Gaels welcome people of all ages, skill levels and backgrounds. We have both nationally competitive teams and fun recreational games, along with being a vibrant social club. Below we’ve included answers to questions we get all the time. 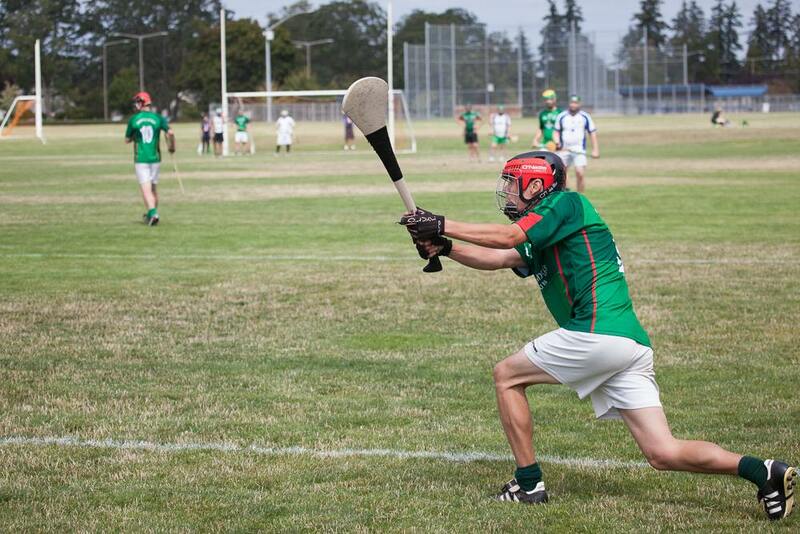 If you have any other questions about us or Gaelic sports, contact us and we’ll do our best to get you an answer! Being a member of the Seattle Gaels is far less expensive than most other recreational sports. For new members, it is only $100 for the first year. Returning members, the fee is $200. And you can be a social member for only $50. DO I NEED EXPERIENCE TO PLAY? We love introducing people to the great games of hurling, camogie and Gaelic football. Regardless of age or skill level, you can play Gaelic sports. We have a range of players, from those who have never played organized sports, to people who have played these games at the international championship level – and every level in between. Our recreational league is co-ed and provides a great outlet for anyone who wants to get a little exercise and have some fun on the weekends. 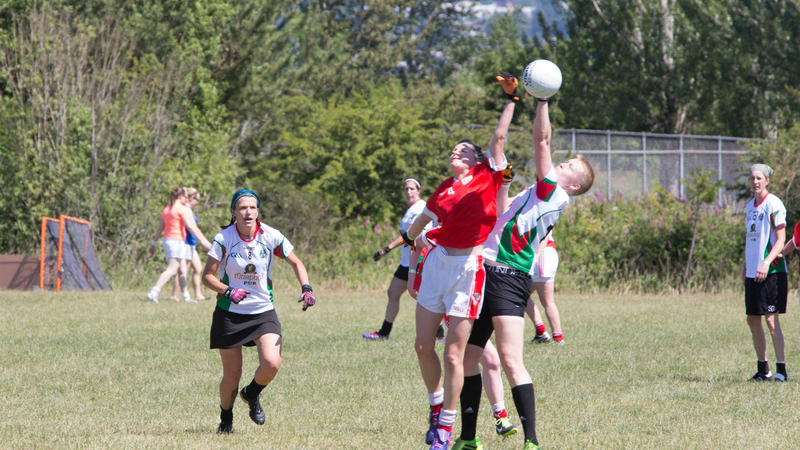 While Gaelic sports are very physical, we put a serious emphasis on safety. We teach the basics and always make safe play a high priority. There are typically no more injuries than you would see with any other sport, such as soccer, hockey, etc. We require mouthguards for Gaelic football and helmets are required for hurling. There is optional safety gear (shin guards, hand guards, etc.) that can be used, but in the normal course of play you’ll find that our sports are very safe – and a lot of fun! In general, we provide all the specialized equipment you’ll need to play our games. This is primarily for hurling and camogie. When you get started, we’ll provide you with a hurley (the stick used in the game) and a helmet. As you get more involved, you’ll likely want to get your own. All the equipment you need can typically be acquired for under $100 – and there is often used gear available from other members. Personal gear that you need to provide is only a sturdy pair of cleats, a mouthguard (for football) and any other personal gear you choose to wear – such as shin guards. 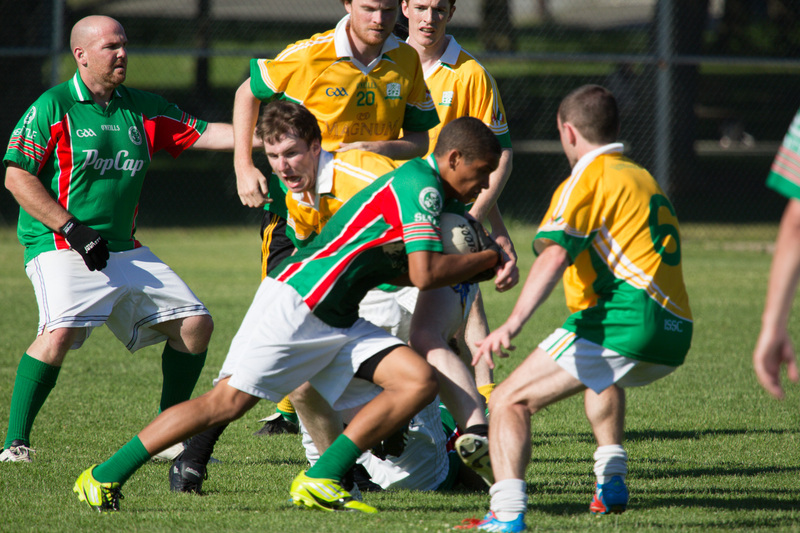 Our City League is our recreational outlet, with co-ed play in both hurling and Gaelic football. Games are played throughout the spring and summer, and while these games can be quite competitive, the emphasis is squarely on fun. During the off-season (September through March) we organize many fun outdoor and indoor activities. WHAT ARE THE SOCIAL ACTIVITIES? We are as much a social club as a sports club. As an adult club, we have a great number of pub evenings, and the occasional weekend pub crawl. There are fun activities such as our annual Rock, Paper, Scissors Tournament each February, and the Turkey Bowl in November, where we play a golf versions of our games. Because we are part of the Irish Heritage Club of Seattle, we also have opportunities to join our affiliated programs for events and activities. These include the Irish Network business group, Irish Reels Film Festival and many more. 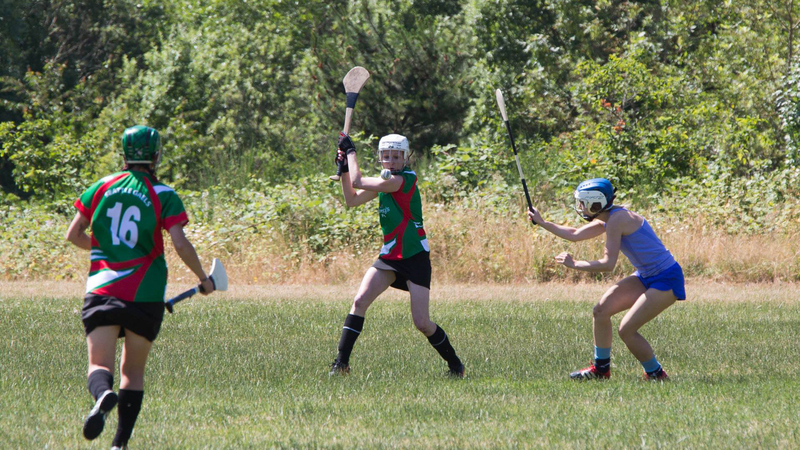 Our games and practices are at Magnuson Park in Seattle, where you can find us on weekday evenings and Saturday mornings during the spring and summer months. Use the button below to get more information about participating.